Science Catch-up. 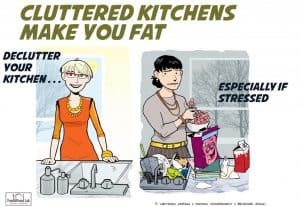 Is Your Cluttered Kitchen Making You Eat More? 1. 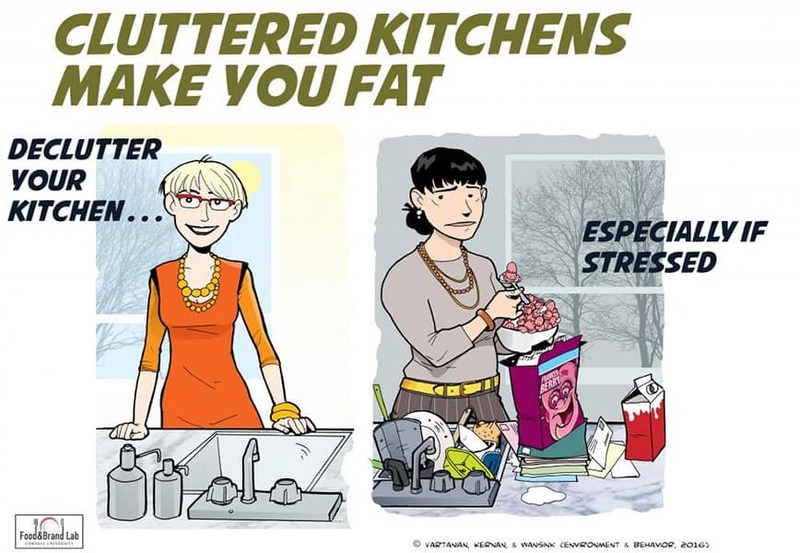 Is your cluttered kitchen making you eat more? 5. 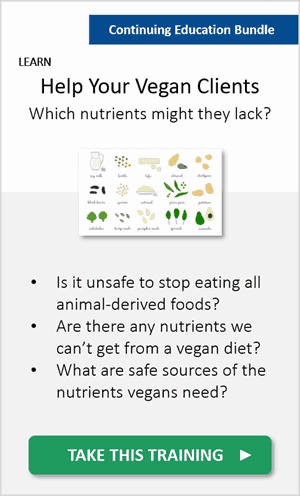 High-fibre intake to combat food allergies? Ready to learn? Begin reading below. Is your cluttered kitchen making you eat more? This new Cornell study tells us that messy kitchens are “caloric” kitchens. How cluttered and chaotic is your kitchen? With dishes in the sink, newspapers on the table, and the phone ringing, study participants ate more of the indulgent snacks – twice as many cookies compared to those in organised and quiet kitchens. The researchers suspect that this is because cluttered and chaotic environments can make you feel out of control and cause stress eating. “Everything else is out of control, so why shouldn’t I be?”, they explain. To avoid overeating from this, de-clutter your kitchen before putting the first bite in your mouth! If you can’t de-clutter or clean up, the researchers suggest to put yourself in an “in-control” mindset before reaching for the food. How? By thinking of a time when you were actually were in control despite the chaos. 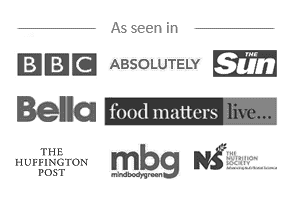 Note: Besides your kitchen, there are hundreds of external influences on what, when, and how much you eat! Learn what these are here. Have you ever heard of the hormone uroguanylin? Most people haven’t! Uroguanylin is an appetite-suppressant hormone. 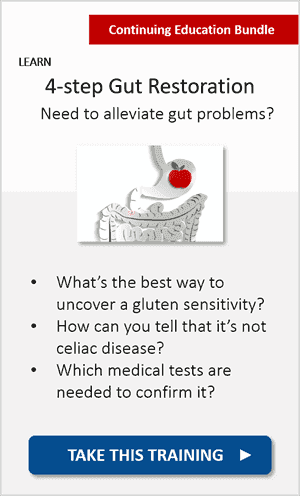 It’s secreted by your gut cells, telling your brain to stop eating. Scientists have just started investigating this hormone in relation to appetite, calorie burning, and even the generation of “brown” fat in your body – i.e. the only kind of fat that is metabolically active and actually burns white fat! So, what happened in this study? 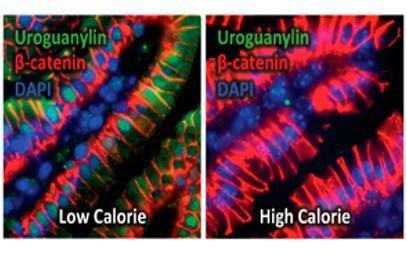 It appears that overeating calories stops the production of uroguanylin. In other words, you won’t be getting its “stop eating” signals. This can promote even more eating, eventually leading to obesity and metabolic syndrome. This is an example of epigenetics “gone wrong”. Remember what epigenetics is? 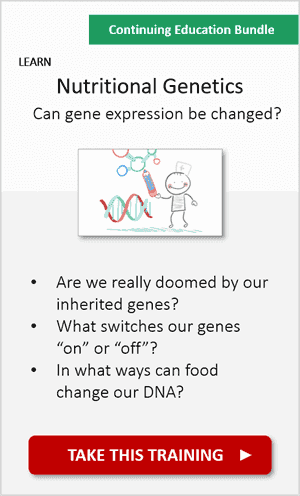 The switching of genes “on” or “off” by environmental signals. 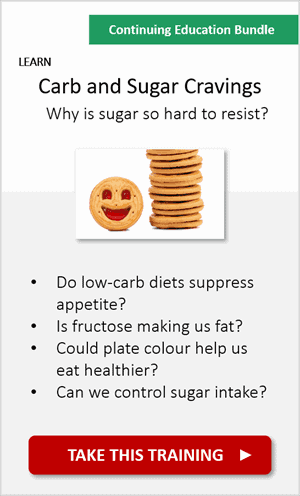 In this case, overconsuming calories switches off the gene that is supposed to tell your gut cells to make this appetite-suppressant hormone. The gene is called GUCY2C. 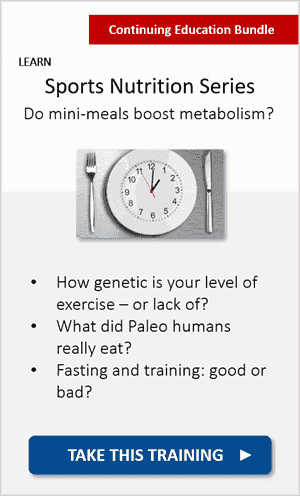 But, with this gene inactive, overeating can lead to even more overeating. 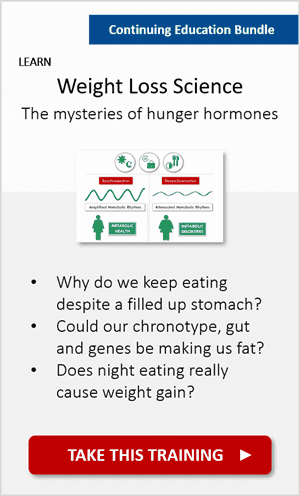 Note: If you often feel “full yet hungry”, learn why here and here. High-fat, low-carb dieting (AKA “ketogenic” dieting) may work for some. However, scientists are now beginning to suspect that for those born with certain gene variants, going keto could be lethal. According to new research, fat metabolism during ketosis can go haywire in those who are obese, type 1 diabetic, or born with genetic mutations that affect fat oxidation (such as errors in the CPT2 gene). In this study, the mutated mice couldn’t handle the high-fat intake, and the ketogenic diet eventually killed them. Yes, the diet dissolved all fat tissue throughout their bodies. But their livers were enlarged with fat molecules. How come? 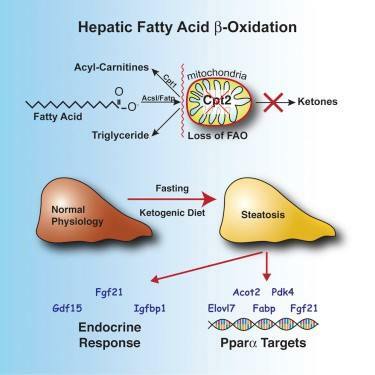 Fat molecules freed up by fat cells are sent to the liver for oxidation (burning). However, the livers of mutated mice couldn’t burn those fat molecules, they just absorbed them and got too fat to function. The truth is that some people can metabolise fats better than others, and your genetics play a role in that. For example, Eskimos can tolerate high amounts of fat without issues (see here). But if you can’t metabolise high-fat intake properly (like people who carry the CPT2 mutation, usually type 1 diabetics), or if you have tolerance problems, please apply caution. You wouldn’t want to follow a trend to fix something, yet break something else! Note: Whether you can tolerate ketogenic dieting or not, you may still wonder: Can the brain perform without carbs? Discover the link between ketosis and your brain processing power here. A typical muffin is loaded with saturated fat (from butter or lard). But not the muffin designed for this experiment. This special muffin replaced saturated fat by either poly-unsaturated fats (Omegas 3 and 6) or mono-unsaturated fats (Omegas 9 and 7). What for? Because excessive saturated fat consumption has been shown to contribute to insulin resistance, metabolic syndrome, and unhealthy weight (fat) gain (Riccardi et al., 2004). For this reason, the participants’ diets were designed to reduce saturated fat for 8 months. To ensure they were getting sufficient amounts of unsaturated fats, the researchers gave them the specially-enriched muffins. 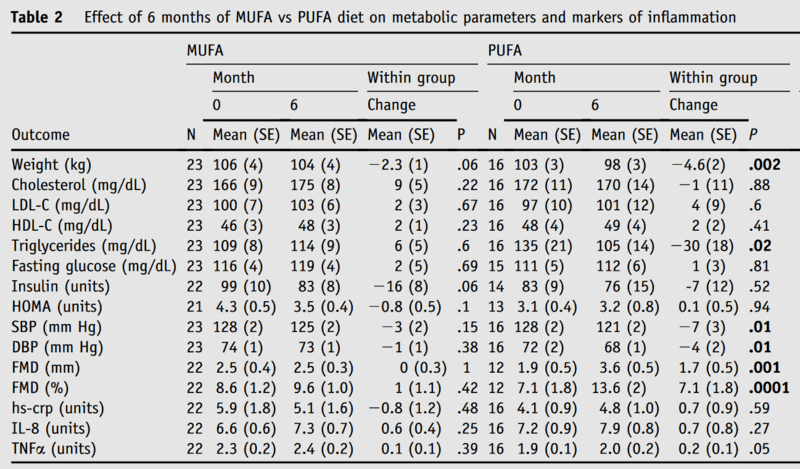 In the last 6 months, the patients who consumed the special muffins made with poly-unsaturated fats (safflower oil) lost more weight, had better insulin sensitivity, lower triglycerides, and lower blood pressure, compared to those consuming the muffins make with mono-unsaturated fats (high-oleic sunflower oil). By the end of the study, 25% of them didn’t have metabolic syndrome anymore! The researchers believe that poly-unsaturated fats (but not mono-unsaturated fats) activate signalling in the brain to reduce appetite. Before you start baking muffins with safflower oil thinking it’s a “miracle solution”, the scientists will experiment with richer sources of Omega 3s next, from plants (e.g. flaxseeds) or marine origin (e.g. oily fish). High-fibre intake to combat food allergies? According to this Australian study, mice are less likely to have allergic reactions to peanuts if they eat a high-fibre diet. The researchers believe this is because a fibre-rich diet helps feed “good” bacteria, strengthening the immune system and preventing allergic responses. Although there isn’t definitive evidence that high-fibre intake combats food allergies in us humans, some clues suggest it might. For example, children in rural Africa eat twice as much fibre as European children, and allergies are rare, probably because of a different gut microbiota composition. Fibre is rich in vegetables, pulses (beans and lentils), and wholegrains (e.g. oats, quinoa, brown rice). 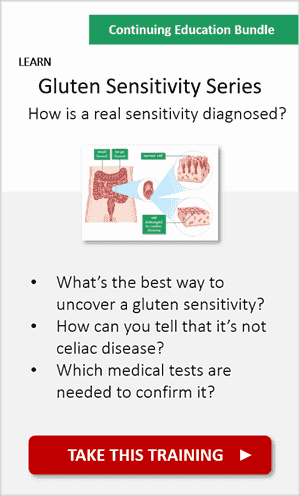 Note: Could you have a food allergy? 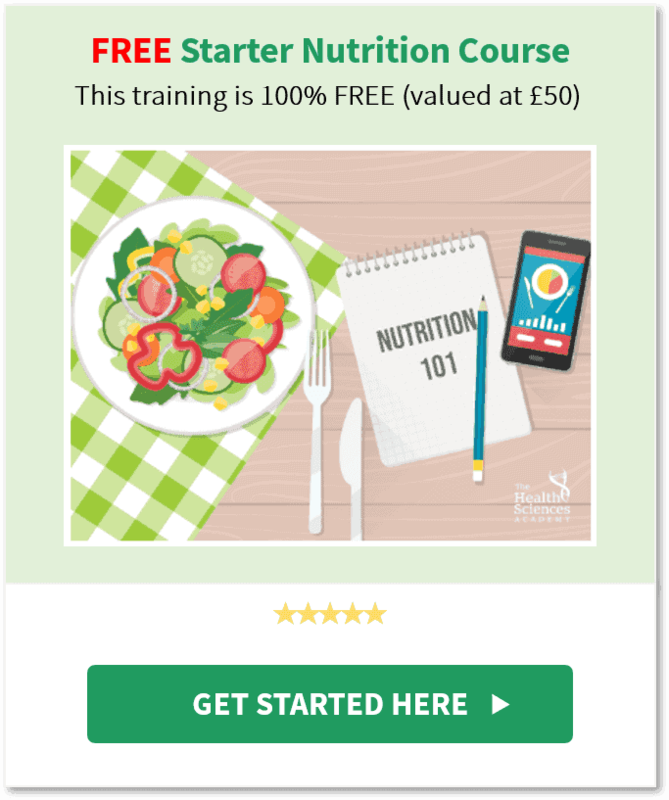 We help you find out in our Food Allergies and Intolerances course. Ketosis 101: Can Your Brain Function Without Carbs?